[Antarctica] is big and it's changing and it affects the rest of the planet and we can't afford to ignore what's going on down there. For a dozen days in January, in the middle of the chilly Antarctic summer, The Associated Press followed scientists from different fields searching for alien-like creatures, hints of pollution trapped in pristine ancient ice, leftovers from the Big Bang, biological quirks that potentially could lead to better medical treatments, and perhaps most of all, signs of unstoppable melting. The journey on a Chilean navy ship along the South Shetland islands and vulnerable Antarctic Peninsula, which juts off the continent like a broken pinky finger, logged 833 miles (1,340 kilometers) and allowing the AP team a firsthand look at part of this vital continent. Antarctica conjures up images of quiet mountains and white plateaus, but the coldest, driest and remotest continent is far from dormant. About 98 percent of it is covered by ice, and that ice is constantly moving. Temperatures can range from above zero in the South Shetlands and Antarctic Peninsula to the unbearable frozen lands near the South Pole. As an active volcano, Deception Island is a pot of extreme conditions. There are spots where the sea boils at 212 degrees Fahrenheit (100 degrees Celsius), while in others it can be freezing at below 32 (0 degrees Celsius). 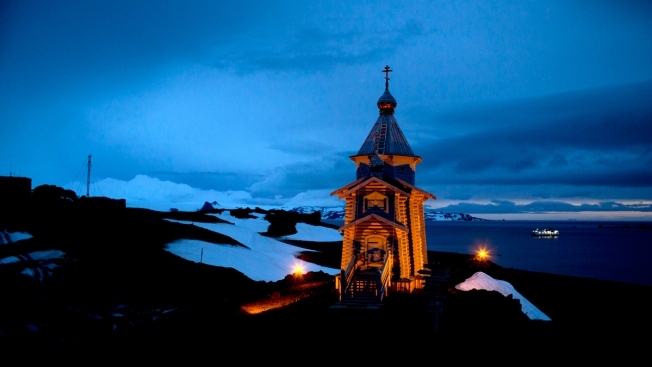 And while the sun rarely shines on the long, dark Antarctic winters, nighttime never seems to fall on summer days. Often, scientists find something other than what they were looking for. Last year researchers calculated that ice on the western side of the continent was melting faster than expected. Last month, scientists researching vital geology in that melting were looking a half mile under the ice in pitch dark and found a surprise: fish a half foot (15 centimeters) long and shrimp-like creatures swimming by their cameras. 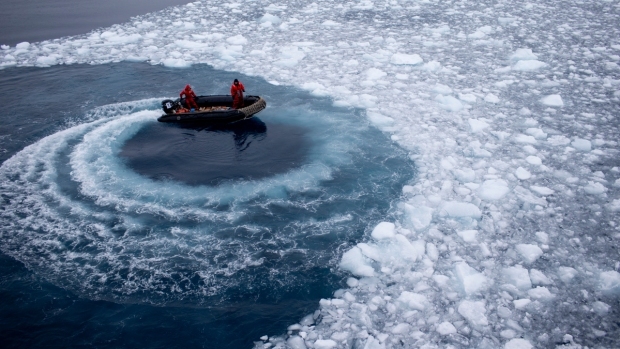 Geologists are entranced by Antarctica's secrets. On a recent scientific expedition led by Chile's Antarctic Institute, Richard Spikings, a research geologist at the University of Geneva, wielded a large hammer to collect rock samples in the South Shetlands and the Antarctic Peninsula. Curious members of a penguin colony on Cape Leogoupi watched as he pounded on slabs of black granite and diorite rising out of the southern ocean. By the end of the two-week trip, his colleagues had jokingly begun calling him "Thor." It's a window out to the universe and in time. This is one of the more extreme places where you could expect to find life. It's even here.